Children with Down’s Syndrome can experience sleeping problems – studies confirm that 40% of seven to 11-year-olds have difficulty in settling down at bedtime and 51% wake during the night. 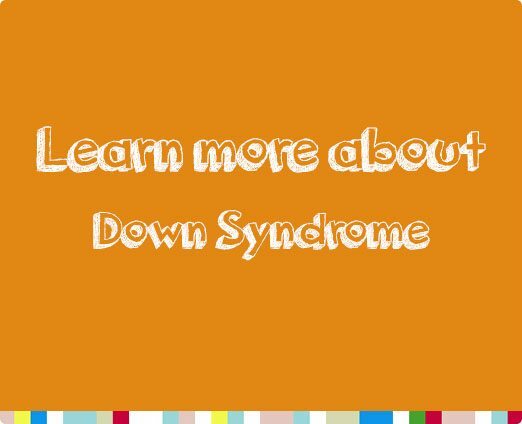 Physical or breathing-related sleep problems account for some of the problems, as children with Down’s syndrome are vulnerable to sleep apnoea – symptoms can include snoring, choking, coughing, restlessness, excessive sweating, unusual sleeping positions and periods when breathing stops. 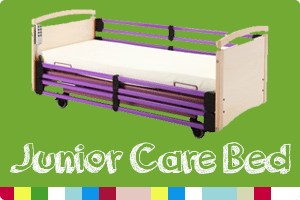 Kinderkey’s Junior Care Bed can help alleviate sleep problems for children with Down’s Syndrome. Suitable for children aged three to 12 years, the bed features ultra-light, strong barriers that enable the child to sleep safely without falling out of bed. With its electric variable height and electrically-operated leg section with a knee-break, the CosySafe cot/bed provides a variety of sleeping positions for extra comfort. It is available with any height sides and with optional soft padding in a choice of beautiful patterns and colours. 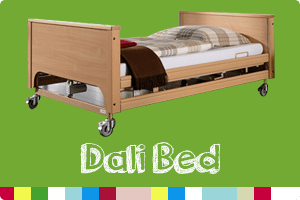 Our Dali electric nursing bed and the extra-low version are suitable for children or adults who have Down’s Syndrome. The four-section, profiling, adjustable bed with variable height options provides various sleeping positions, with electrically-adjustable back and upper leg rests and a manually-adjustable lower leg rest. Extra-high side rails are available. Kinderkey provides expert solutions to various sleep needs, offering a home visit from one of our product specialists to assess the most suitable option for every individual.